In 1973 McDonald teamed with bassist Doug Wimbish and drummer Harold Sargent in the group Wood Brass & Steel, recording a pair of LPs before calling it quits in 1979. McDonald and Wimbish soon reunited under the auspices of the fledgling rap label Sugarhill, where they teamed with drummer Keith LeBlanc to become the company's house band. Over the course of the next three years, the trio played on a number of the most seminal records of the era, including the Grandmaster Flash classics "The Message" and "White Lines." After exiting Sugarhill's ranks, the group worked at Tommy Boy Records, where they teamed with producer Adrian Sherwood to develop his famed On-U Sound. Sherwood subsequently convinced the trio to relocate to London, where they were rechristened Tackhead and fronted by vocalist Gary Clail. They also began handling some of On-U's myriad production assignments, remixing material for artists including Nine Inch Nails, African Head Charge, Megadeth, and Living Colour, whom Wimbish later joined. 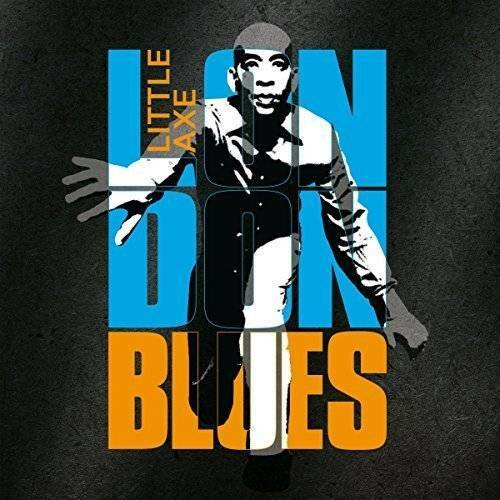 By 1992, McDonald adopted the name Little Axe and returned to the blues of his youth, albeit a brand of blues informed by his latter-day musical experiences, which also incorporated elements of gospel, rock, reggae, and funk. Co-produced by Sherwood and recorded with the aid of Wimbish and LeBlanc as well as vocalists Kevin Gibbs and Saz Bell and Indian percussionist Talvin Singh, Little Axe debuted in 1994 with the single "Ride On (Fight On)"; the full-length The Wolf That House Built was released later in the year to wide acclaim. "Another Sinful Day" followed in 1995, with Slow Fuse appearing in 1996.